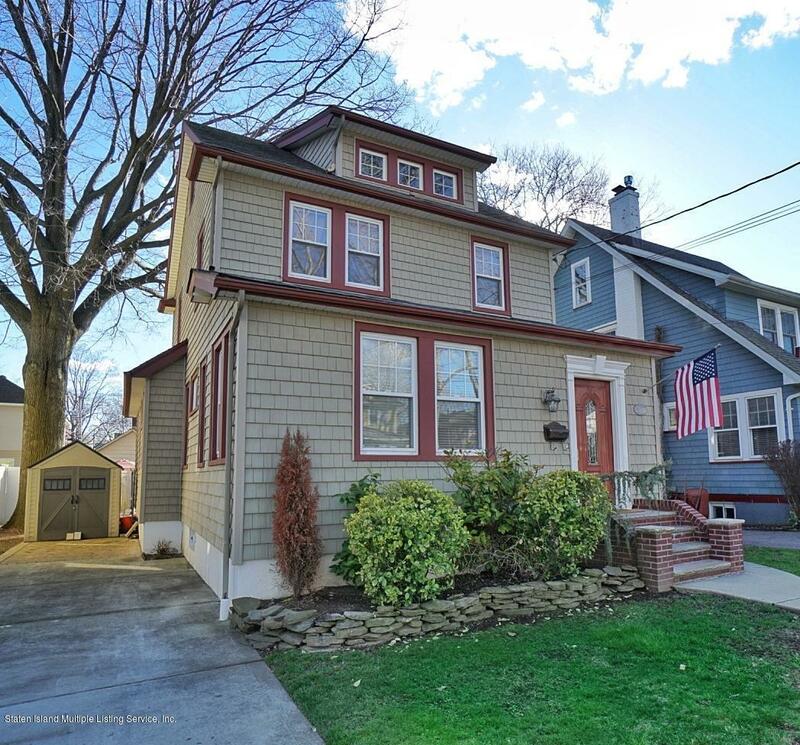 19108H-Charming home centrally located in the heart of New Dorp on beautiful tree lined block. Featuring high-hat lighting, crown molding and hardwood floors throughout. Kitchen with granite counter tops and Island, all stainless steel appliances stay ! Ceramic tile in kitchen and bathroom have radiant heat. 3 large bedrooms with custom closets. Full stand up attic with large windows can be 4th bedroom or family room. Yard totally redone with Cambridge pavers and trex deck. New security system throughout home. Home is a walk away from cafes, boutiques and tons of shopping. Close to transportation and train. Must see home !